I hope all my United Statesian readers had a wonderful Independence Day, and the rest of you had a wonderful regular ole Monday. I spent the last week+ in Lead, SD visiting M while he works there. We celebrated by watching Independence Day on the 3rd, and going to the Lead fireworks display on the 4th. The movie was a bit better, I must say. As you may have guessed, I actually meant to have this posted last Friday, but between traveling and working remotely it fell by the wayside. My sincere apologies. There will be a surprise bonus post sometime this month to bring the total up to five. In any case, ice cream! Ice cream is one of my favorite things to make and play with new recipes. Partially because it’s really hard to screw it up (even if it doesn’t turn out how you wanted, it’s rarely inedible) and also because it’s one of my favorite desserts. Thinking of new flavors and tinkering with the proportions until it’s what I dreamed in my head is both rewarding and delicious. Admittedly my ice cream consumption is rather higher throughout early summer for this reason, but I consider it a sacrifice worth making. You’re welcome. We’ll kick off the month with what might be my new favorite flavor, or definitely at least Top 5: s’mores ice cream. 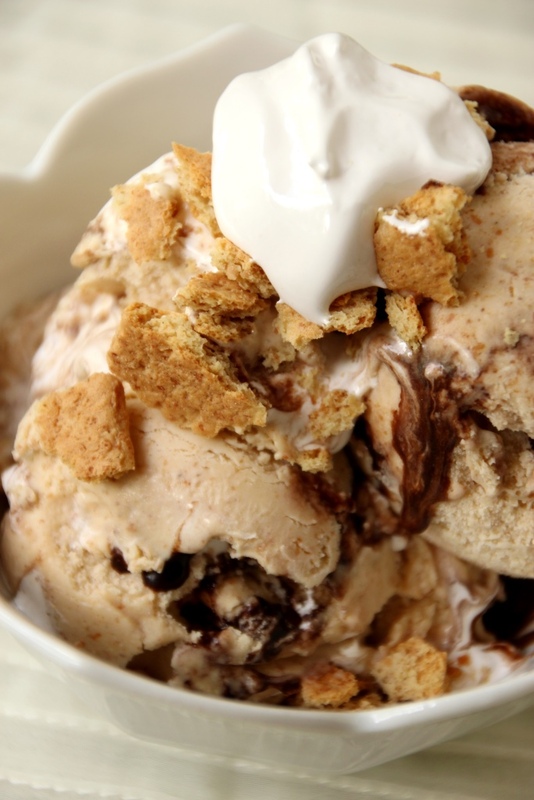 Graham cracker ice cream swirled with homemade chocolate and marshmallow makes for a melt-in-your-mouth s’mores experience – no fire necessary. It has the added bonus of being substantially less messy to make and eat, which is a huge win in my book. 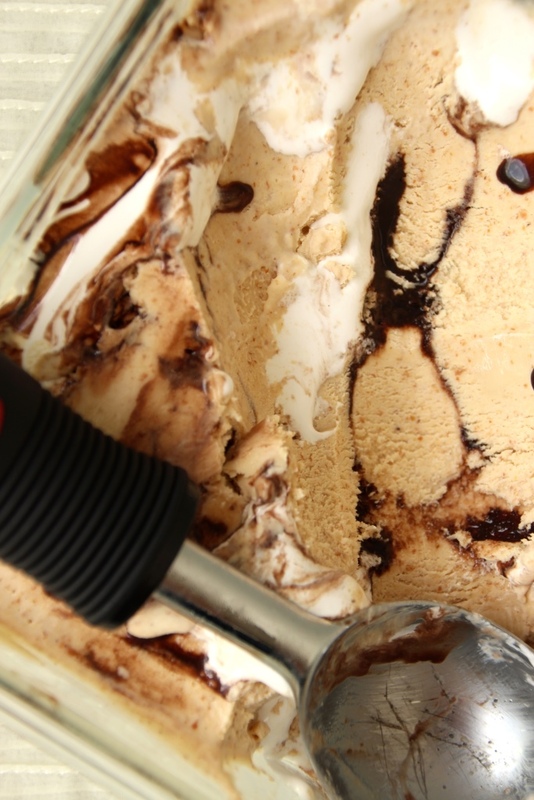 The ice cream is smooth and creamy with that wonderful Graham cracker flavor. Honestly, it’s delicious all on its own and likely I’ll add it into my usual rotation even without the extras. For a cheater version, you can just top the ice cream with chocolate sauce and marshmallows without making them yourself and doing the swirl. However, I highly recommend doing the whole she-bang. All of the components are simple to make and beginner friendly, and the result is something magical. The marshmallow creme was surprisingly easy; I actually expected it to be much more complex. Much like pudding or mousse, however, it’s mostly just heating and stirring things. Not a big deal at all. I’ve always been somewhat freaked out by store-bought marshmallow creme, so having this super easy (and pretty quick) option for ice cream is fantastic. Tastes delicious and doesn’t have anything artificial in it. Yum. I used my go-to chocolate sauce recipe here, but you can substitute your own favorite if you prefer. Just make sure it’s regular chocolate sauce, and not hot fudge, as the latter will freeze too hard. 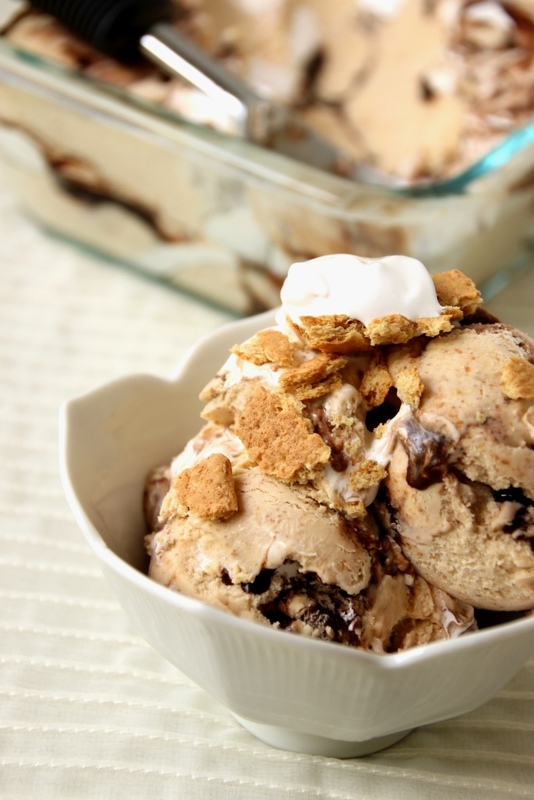 Kick your summer up a notch with this s’mores ice cream, sure to be both kid- and adult-approved. Chill contents in blender in the fridge at least 4 hours, or overnight. Blend briefly, then freeze according to your ice cream maker’s directions. Transfer to a freezer-safe bowl to freeze for an additional three hours, or overnight. 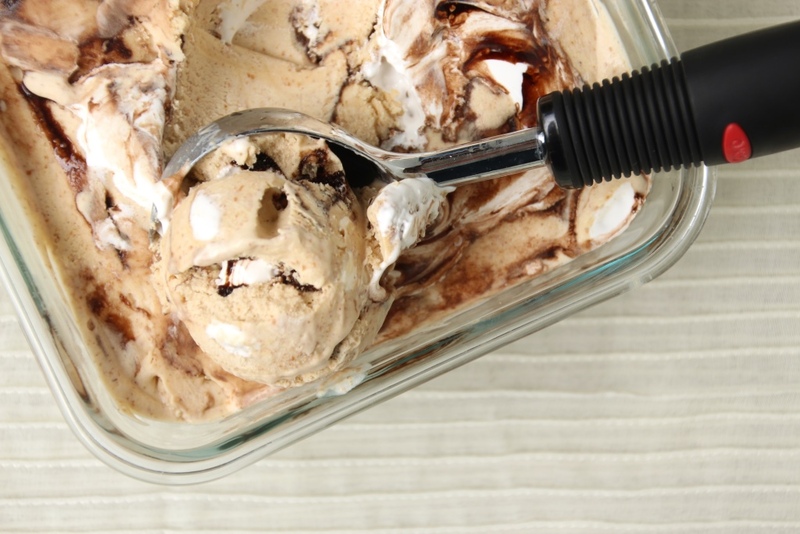 Or follow s’mores ice cream recipe below. 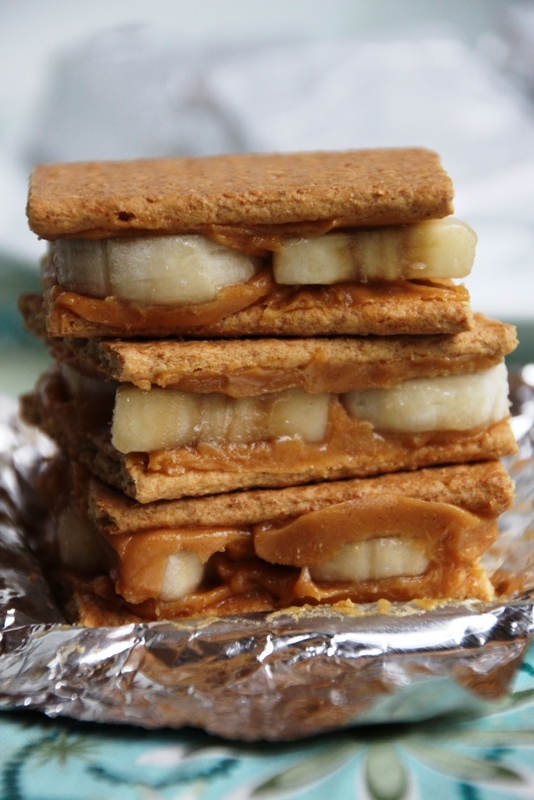 Top with additional crushed Graham crackers for some extra flair and a little crunch. 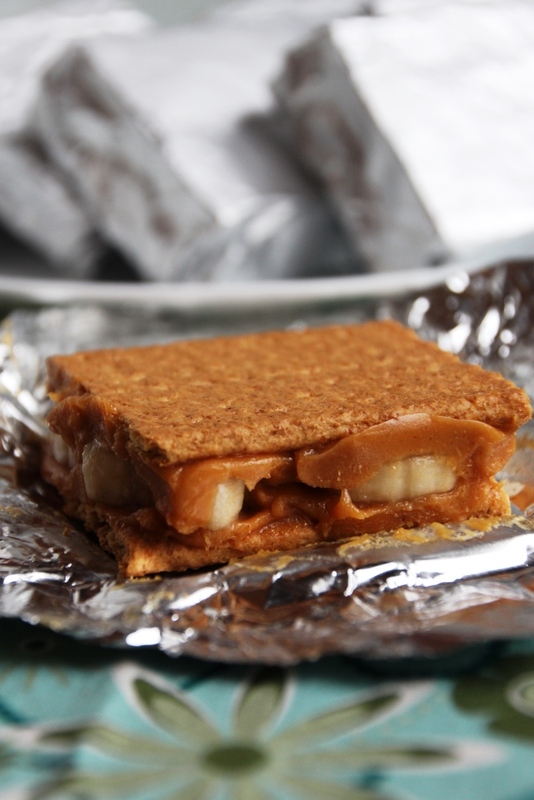 1 For a milder Graham cracker flavor, use just one package. For a more kapow experience, use up to two. I like a pretty strong flavor, so I use two packages minus two or three crackers that I crush separately and reserve for topping. Continue cooking for another 2 minutes, whisking almost continuously. 1 The quantity varies a bit depending on cooking time, in my experience. I used about 1/2 cup in my ice cream and put the rest in the fridge to use later. You can also freeze it but you may need to take it out for a bit before it becomes pourable. In a small saucepan, whisk together sugar, corn syrup, water, and salt over medium heat. Continue cooking, whisking occasionally, until mixture has reached 240 degrees. Meanwhile, add egg white and cream of tartar to the bowl of a stand mixer. Whip with an electric mixer (I prefer to use a handheld rather than my stand mixer for small amounts like this) on medium-high speed until mixture is fluffy and has soft peaks. If you weren’t already using your stand mixer and whisk attachment, set that up now. When sugar mixture has come to the correct temperature, remove from heat. Turn your stand mixer to low, and slowly pour hot sugar mixture down the side of the bowl into the egg whites while the mixer is running. When all the sugar mixture is added, increase speed to medium-high and whip until mixture is glossy and medium peaks form. This will take several minutes. Scrape the bowl, add vanilla, and continue to whip on medium-high until stiff peaks form. 1 This is half the original recipe, and I still had some leftover. It keeps well in the fridge so feel free to double it and have lots of extra for toppings. Transfer about 1 cup of marshmallow creme to a frosting bag or Ziploc, and snip a 1/2″ hole. Gently spread about one cup of ice cream into the bowl. Pipe a swirl of marshmallow creme, then drizzle chocolate sauce over the marshmallow cream. Repeat until all ice cream is used up. 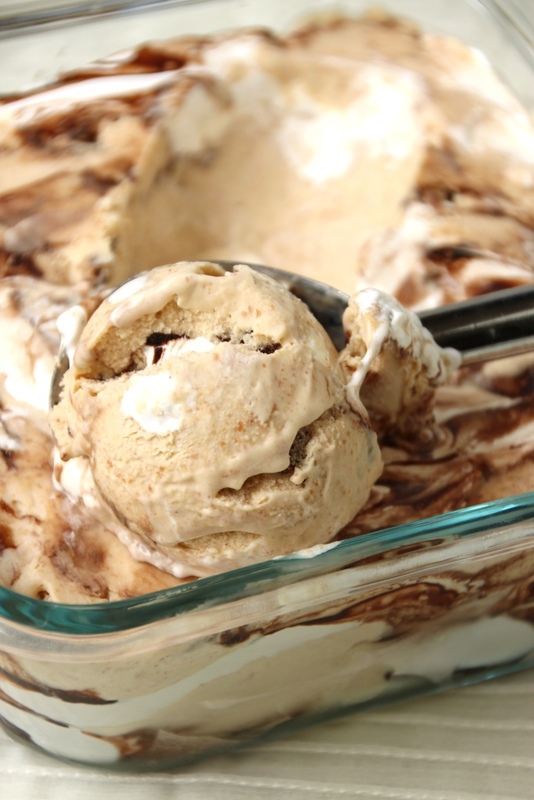 Tip: end with plain ice cream or just a small drizzle as it could muddle together once you add the lid. Return bowl to freezer for at least 3 hours, or until ice cream is firm. 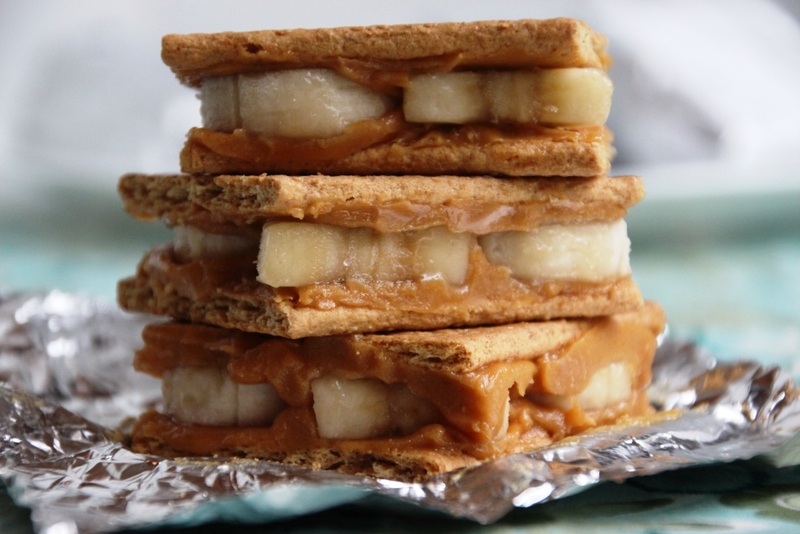 Serve solo or with additional crushed Graham crackers, marshmallow creme, and/or chocolate sauce for topping.